Make your foreign exchange payments simply and quickly. The currency exchange (conversion) and payment are made at the same time. You can also easily add your beneficiaries. In just a few clicks, make transactions to more than 240 countries. On average, it takes two minutes to process a request, from start to finish. 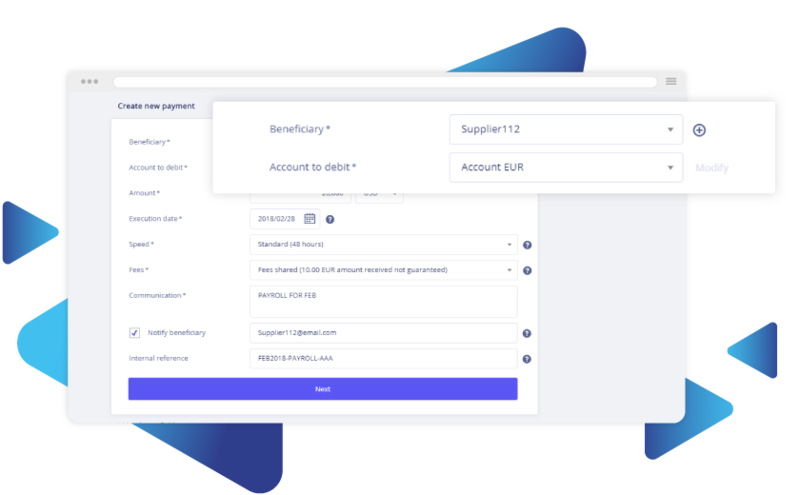 Choose the speed of payment delivery: 1h, 24h or 48h. Get real-time exchange rates instantly: all fees are transparent. 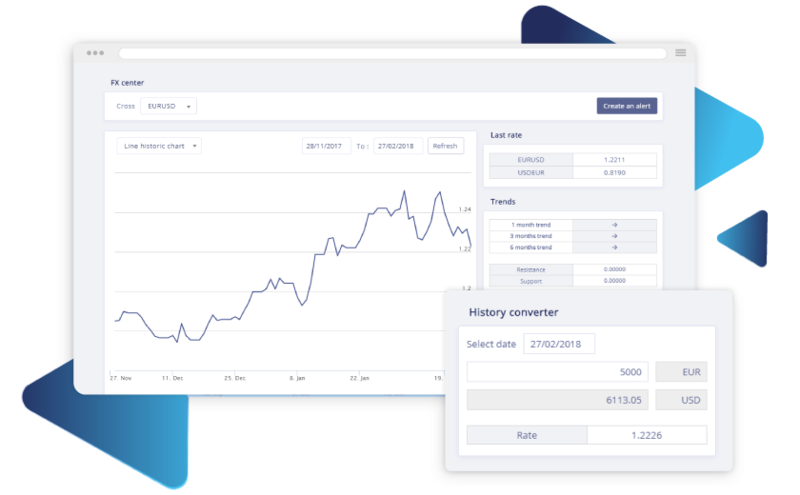 With our iBanFirst platform, clients have access to actual market rates in our trading room. You see the market rate in real-time, as well as the rate we offer. The charges applied are what you see on the platform (no hidden fees).